The Franciscan community in Ballinderry is an international one: Sr Anita arrived in Ireland from Madagascar in November 2015, Sr.Clare is Irish, born in Dublin. Sr. Adanech is Ethiopian and arrived in Mullingar in March 2016. Sr. Abebech is also Ethiopian, joined the community in September 2017.
was opened to the public in 2014 as the new venture for the work of the FMOL community in Ballinderry and their vision became a reality. The sisters look forward to welcoming you to the Centre. and was a sacred place of retreat for St. Francis himself. 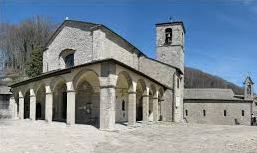 La Verna is a remote place in the Tuscan hills, situated in the centre of the Apennines, about 120km northwest of Assisi. In the year 1213 Count Orlando, having heard Francis speak of God, gifted this land to Francis as a place of retreat and contemplation for him and his friars. fasting in 1224, received the Stigmata (the wounds of Christ) in answer to his prayer. 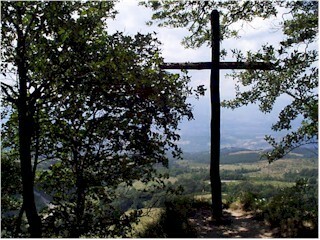 ‘La Verna Sanctuary’ remains a sacred place of pilgrimage today where the friars offer a warm Franciscan welcome to those who ‘climb the mountain’ and stay awhile to rest, reflect and nurture their spirit. 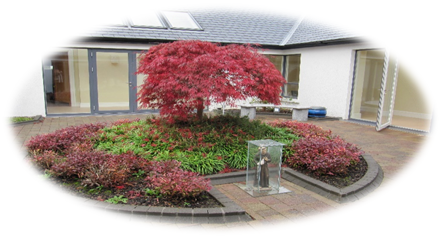 Our mission as Franciscan Missionaries of Our Lady in Ballinderry today is to extend the warm Franciscan welcome to all who, in the spirit of St Francis, wish to “come away and rest awhile” (Mk 6:31). “In quietness and in trust shall be your rest” (Is 30:15). 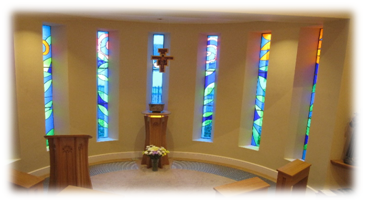 La Verna Centre of Spirituality & Hospitality is open throughout the year for individuals and small groups, from all walks of life, who wish to take some quiet time to rest, reflect and pray in beautiful relaxed surroundings. We offer hospitality to you for a few hours, a day, a few days or longer, depending on your needs. Workshops on issues of faith, self-development and other areas of human growth are hosted by us from time to time. we also have regular prayer gatherings, adoration and one on spiritual accompaniment, visualisations and healing sessions by appointment.